I worked at the stage door during dress rehearsals last week. This is code word for "I sat at the stage door for many hours to make sure only the appropriate people came in, and no hobos got in and wandered around the opera house." Literally sat there for hours. So I decided to get some reading done, you know...be productive. 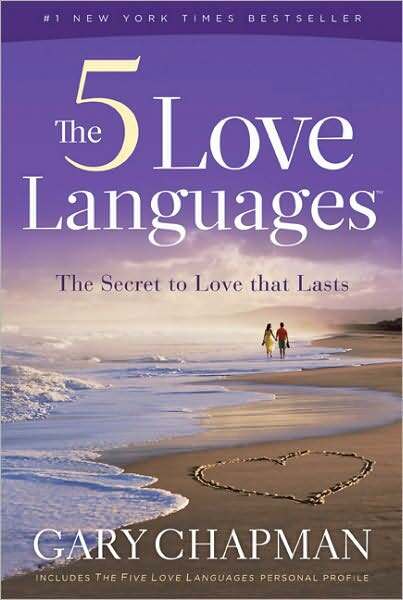 The 5 Love Languages by Gary Chapman has been on my list for a long time. I first heard about it from MaieDae. 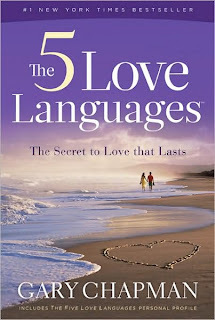 She talks about the love languages a lot, and that made me want to know what mine are. This is technically a book about marriage. It is about keeping love going after the initial romance fades when you have been married for a few years. But Dave and I have been dating for 7 years now (happy anniversary babe!) and living together for almost a year. To me that shows commitment. Sometimes I am not always able to accurately communicate how I want to be loved. I know what makes me mad or sad, but not able to point out "I would like it if..." That is part of the reason why I wanted to read this. To maybe identify that. One of the most important lessons I took from this book was to pay attention to what makes me mad or sad. That is what your love language is. It makes you mad or sad because the person is going against it. My two primary love languages are Quality Time and Acts of Service. When I took the quiz, they were equal in score. This was no surprise to me at all. I think I am going to make Dave take the quiz, just to find out what his love language is. If you are interested, the website is very informative.